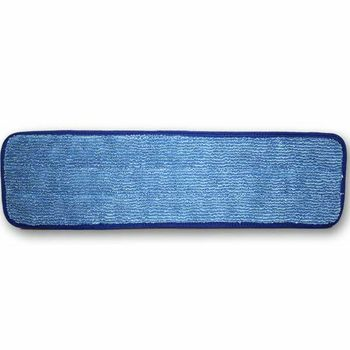 This quality generic brand flat microfiber mop pad is durable and affordable. 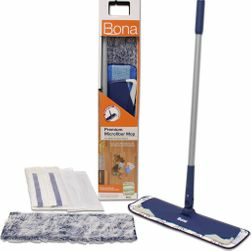 At 19 inches long x 5-1/2 inches wide, this 19-inch blue cleaning mop pad is a perfect size for residential use. 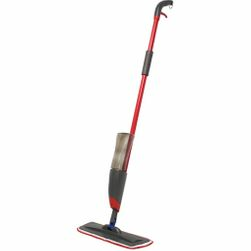 It fits most flat-based mops with velcro-type attachment strips and is well-paired with the 17 inch mop frame sold by 1877FloorGuy. 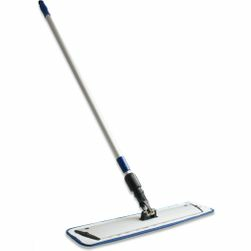 Most often purchased for home use, this mop pad is commercial-quality so it will stand up to hundreds of uses and wash cycles. 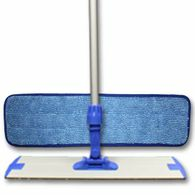 This blue mop pad is standard for use on a flat mop in a spray and mop cleaning system often used to clean wood and laminate flooring. 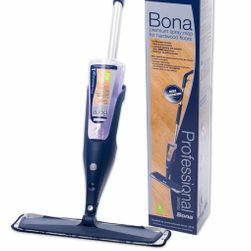 Buy the floor cleaner that is appropriate to your specific flooring type and brand. Follow cleaning product directions to clean the floor. After cleaning and before storing your mop in a closet or utility room, remove the 19 inch mop pad and wash it in the clothes washer so it is ready for the next time you clean your floor. Mop pad can be washed with bleach when it is used in moderation and only periodically. DO NOT use fabric softener. Can be dried in dryer on low heat up to 140 degrees Fahrenheit. Air dry for best results and to extend the life of the mop pad. Mop pads are sold individually. 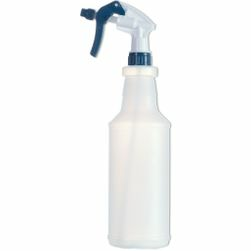 Mop base and pole assembly, and cleaning solution are sold separately.